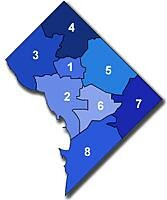 Mendelson Holding Tax Assessment Workshops - But When and Where? (Washington, DC) Councilmember Phil Mendelson (D-At Large) will hold a set of four tax assessment workshops throughout the District over the next two weeks. The workshops are designed to answer residents' questions about the tax assessment process, the tax appeal process, and eligibility for certain deductions. "This is a difficult subject for people. In most cases residents have seen a steep increase in their assessments. They need to understand the tax appeal process and find out how they can challenge an unfair assessment," stated Mendelson. Representatives from the Office of Tax and Revenue will accompany Mendelson at each of the meetings. This is the fourth consecutive year Mendelson has held such meetings throughout the city. "It's important to help protect their pocket book," says Mendelson. "As elected officials, we continue to hear about property taxes. It's really the only tax about which we hear complaints. This issue is important to District residents." * I can't find any listings for meetings other than the one that happens this evening (3/16) for Petworth, Columbia Heights, and LeDroit Park at the 3D Police Station, 1620 V Street, NW, 6:30pm. Does anyone else have the information? * Does Mendelson explain the difference between the assessment and the capped assessment? My understanding is that most residents pay only on the capped amount; the current cap is at 10% (unless you've owned your home for less than a year, like me - you get to wait for a full turning of a fiscal year before the cap goes into effect - and you are, essentially, screwed). I believe the appeal will work only if you can prove your house is worth less than the capped amount, and that's typically unlikely. * Does he discuss or better explain why he was against a 5% cap when a number of states are reducing their caps to 3% and lower? * Finally, how can this be "really the only tax about which we hear complaints?" I'm certain both my driver's license and license plates clealy state "Taxation Without Representation." If you get the chance to go out for lunch or dinner today, you can make every penny count. This year, Dining Out for Life has coordinated 150 local restaurants in DC, MD, and VA that will each donate 25-100% of their March 9th sales to support Food & Friends' growing mission. The list varies in both style and price range. I've never had a better reason to eat myself silly at Zed's! On a similar note, DC's first Idiotarod (yep, you read that right) will start at 2pm this Saturday (while I'm at the Ward 5 Constituent Services Summit). 50% of all proceeds will be donated to the Arlington Food Assistance Center. Good times all around. Come to the 7th Annual Ward 5 Constituent Services Summit to meet face-to-face and dialogue with agency directors charged with providing service. For onsite registration for Summer Youth Employment (10:00am until 2:00pm) you must bring: proof of residency, citizenship/permanent residency, Social Security Card, and recent report card. For additional information please call (202) 724-8028. What: Public Safety Townhall Meeting on "Criminal Investigation to Incarceration and Beyond"
About the Meeting (from the Ward 5 listserv): The issue of public safety is a continuing concern among all District residents and the government has failed to slow the revolving door of recidivism. Make a difference - come out and let your voices be heard on the District's Criminal Justice System. On behalf of Washington Improv Theater (WIT), I am writing in regards to the recently announced sale of the Source Theatre facility at 1835 14th Street, NW. Source has announced plans to sell the building to the Bedrock Companies, who plan to convert the space to a bar and grill with pool tables. News of the sale is deeply troubling to everyone who wants the arts to thrive in Washington. We urge you to do anything in your power to prevent the arts community and the community at large from losing this valuable cultural asset. For twenty-eight years, this 140-seat black box theater has hosted many of our city's finest emerging talents – actors, directors, playwrights and theater companies – playing a unique role in cultivating new work and driving creative and economic activity to 14th Street, NW, one of our city's great streets. • Source shut its doors two years ago to sort out its finances, promising to open them again in a few months' time and to engage the community in efforts to resolve the company's problems. That outreach and reopening never occurred, and the decision to sell the property seems to have been made with no community consultation. • The sale of the property to the Bedrock Companies is set for closing in May, with a sale price in the $3-million range. • Source owes the city approx. $375,000 on a mortgage note, and $25,000 for the return of a facilities grant for roof repairs which were never executed. • Source has other debts, the extent of which is unknown, as Source has so far refused to disclose them. • DC has invested several thousand dollars in the Source's success over the years, in the form of grants and gifts. There are at least three plans which could succeed in keeping the Source alive as a performance space. All of them would require a new party assuming Source's mortgage, resolving Source's debts, and taking over management of the facility at 1835 14th Street, NW. Option 1 – A collective of arts groups bands together to make the Source a co-operative venture. So far one such interested group includes the In Series, Actors' Theatre of Washington, Latin American Folk Institute, and Washington Improv Theater. Option 2 – The Cultural Development Corporation, the nonprofit organization that operates the Flashpoint arts incubator, assumes the operation and maintenance of the facility. CuDC has confirmed that they would be interested in exploring this option. Option 3 – A single tenant theater/performance company takes over Source's debts and the facility. Washington Improv Theater may have capacity to explore this, but only after complete financial disclosure on the part of Source. A dialogue. The Source has a fantastic opportunity to engage the arts community in finding a solution that resolves Source's outstanding debts and stabilizes the facility's management so that it can continue its legacy of fostering some of DC's most adventurous and innovative theater. On the other side of the table, the nice folks at Bedrock Companies have an opportunity to listen to the community where they wish to establish a business, and perhaps to understand why the Source is such an irreplaceable treasure for the city. At a time when the city is investing in new theatre development citywide, we must urge you to invest equal energy in this venue's preservation. Please join in encouraging the Source and the Bedrock Companies to search for a solution to prevent the destruction of this vital, historic theater venue. They can begin that search by engaging the community in an earnest and informative discussion of the Source's outstanding debts and circumstances—the discussion that was promised by Source when they initially closed their doors. - Mayor Anthony Williams, 202.727.1000, http://dc.gov/atd/atd_askthemayor.asp. Update: Save Our Source is "a blog for the grass-roots effort to restore and preserve the Source Theatre facility at 1835 14th Street, NW, as a vital cultural asset for the 14th and U Community." 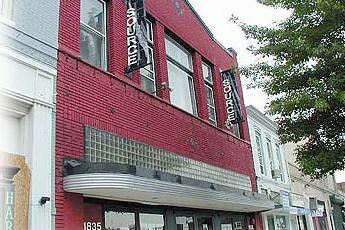 Sign this online petition to "urge Bedrock Companies and the leadership of Source Theatre to stop the planned sale of Source Theatre's building at 1835 14th Street, NW, and to engage the neighborhood and the arts and funding communities in a dialog to craft a strategy to retain the Source's facility as a self-sustaining arts and performance hub in midtown."